The former Ireland international is now reportedly on trial at Orlando City. 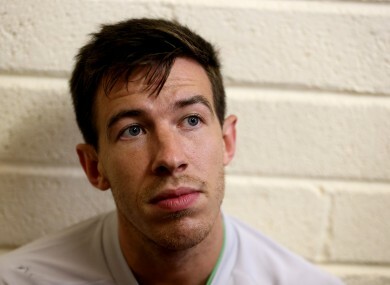 Sean St Ledger earned 37 caps for Ireland. FORMER IRELAND INTERNATIONAL Sean St Ledger has been cut from DC United’s pre-season roster after an unsuccessful trial with the MLS club, amid reports that he could now be set for a move to Orlando City. DC United have decided not to offer a contract to former Ireland international Sean St Ledger ahead of the 2015 Major League Soccer season. The 30-year-old had been on trial at the MLS club following an unsuccessful two-month spell at Ipswich Town, but was cut from United’s pre-season roster having been left out of their friendly defeat to Malmo. St Ledger played just two 45-minute halves for DC United, but the club announced on Twitter that they would not be keeping him in their pre-season squad. Nevertheless, reports today suggest he could now be set for a move to Orlando City, with St Ledger set for a trial with the upcoming MLS side, who count Brazilian star and former Ballon d’Or winner Kaka among their playing staff. The 37-time Ireland international has played just 15 league games since returning from Euro 2012, where he played all three games and scored Ireland’s only goal of the tournament. Email “Sean St Ledger could be set to play alongside Kaka after DC United snub”. Feedback on “Sean St Ledger could be set to play alongside Kaka after DC United snub”.